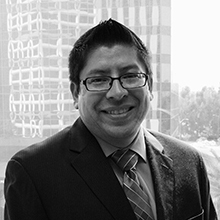 Anthony Castillo is an associate with Capstone Law. His practice focuses on analyzing pre-litigation wage-and-hour and consumer claims, including claims for overtime wages, meal and rest periods, and off-the-clock work violations. Prior to joining Capstone, Anthony was an associate at a California bankruptcy practice, where he represented individual and business debtors in liquidations and re-organizations as well as various debt and foreclosure defense-related issues. Anthony graduated from Loyola Law School, Los Angeles in 2009, where he volunteered with the Disability Rights Legal Center. Before attending law school, Anthony worked in network operations for several years for a major internet service provider. He attended Stanford University for his undergraduate degree, majoring in Political Science and minoring in History. Anthony is admitted to practice law in California and Washington and before the United States District Court for the Central and Southern Districts of California.